From Free Dan Besse! To Free Winston-Salem! When I read last Friday’s paper, I was hoping that April Fool’s Day came a few days early this year. But that wasn’t the case. State lawmakers Donny Lambeth and Debra Conrad have arrogantly introduced a bill to reconfigure Winston’s wards, without any input from the residents of Winston. They plan to reduce the City’s eight wards to six, with two councilmembers elected at large. This is another legislative power grab by North Carolina Republicans who resent cities like Winston that are solidly Democrat. Winston-Salem currently has eight wards. Seven of the eight seats on the city council are held by Democrats. The council is evenly split with four white and four African American council members. Lambeth and Conrad’s proposal, if passed would eliminate two of the wards held by African Americans, lumping the North, Northeast, and East Wards together. The new proposal would also combine the West and Southwest wards, pitting the lone Republican on the Council against Dan Besse, who coincidently ran against Lambeth last November. The Sanctuary City debate of two years ago revealed how little power cities in North Carolina currently have. 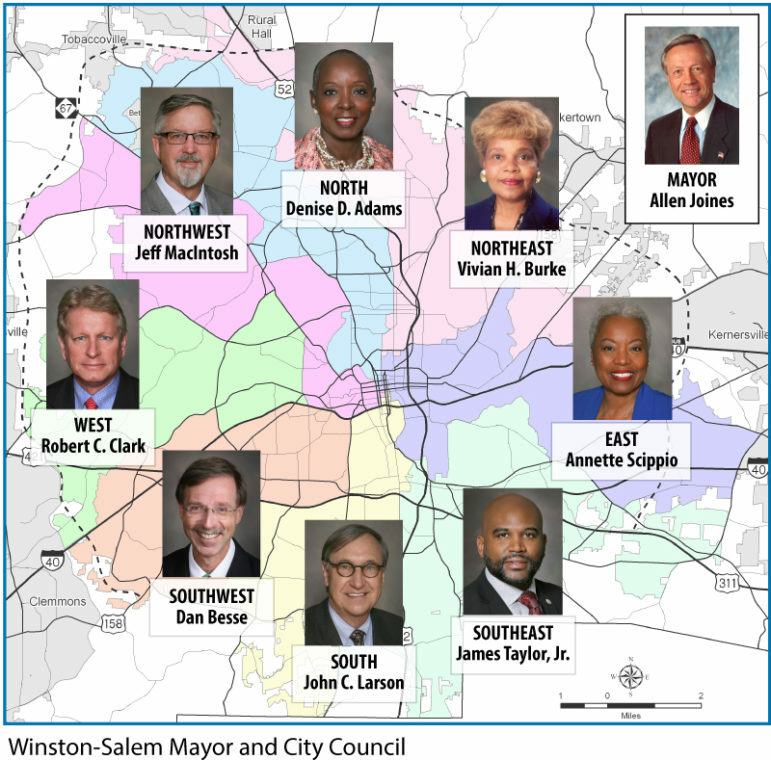 After months of pressure from immigrant rights activists, finally, the Winston-Salem City Council introduced a watered-down Welcoming City resolution. That resolution was unceremoniously pulled by the Council before it came up for a vote. 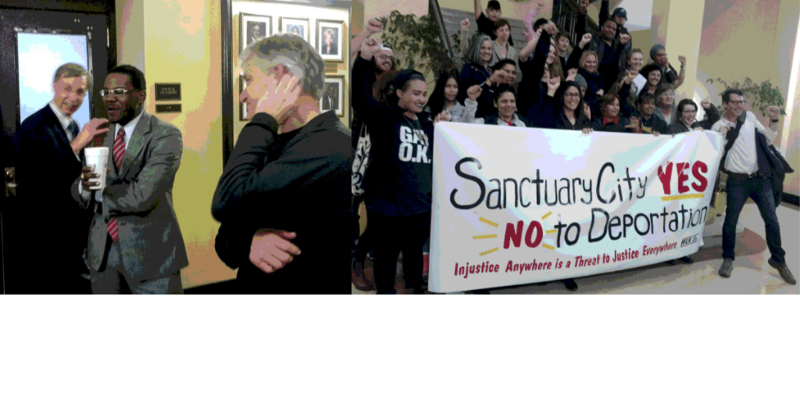 At the time Sanctuary City activists came up with the term, “Free Dan Besse” to express their desire to put Besse’s modest proposal up for a vote. But in the end backroom pressure from Representative Donny Lambeth killed Winston’s Welcoming City Resolution. Now Donny Lambeth with the support of other local representatives in Raleigh is going to dictate how the city’s representatives are apportioned. Donny Lambeth is showing Winston who their political daddy is! This is outrageous! In 2017 it was, Free Dan Besse! 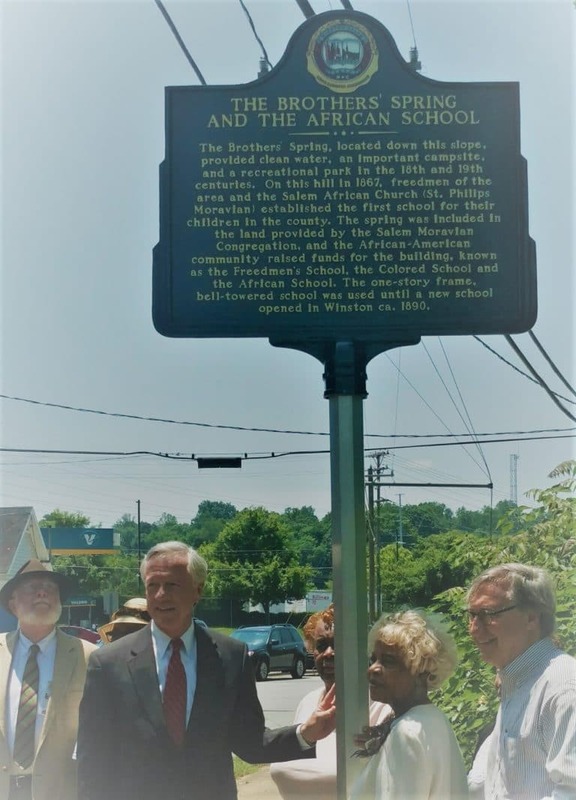 Now it’s Free Winston-Salem! A generous gift in any amount helps to bring you this service. I've lived in or near Winston-Salem all of my life. I have a B.A. in History and a B.A. in Political Science from WSSU. I'm blogging in an attempt to provide the context and criticism that Winston's paper of record often fails to deliver. 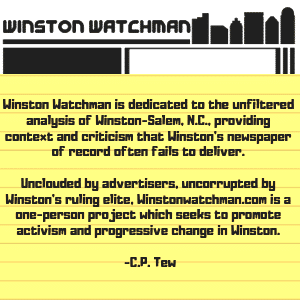 Unfiltered Analysis Of Winston-Salem N.C.